Tired of Having a Double Chin? Diet and exercise play a heavy role in the features of our face, but for some of us, doing everything right still cannot achieve the results we are looking for. For some people, a “chubby” face can make them appear to be a heavier set than what they actually are. Getting a much smoother and more defined jaw line with chin liposculpture can truly make a world of difference for your face and overall appearance. 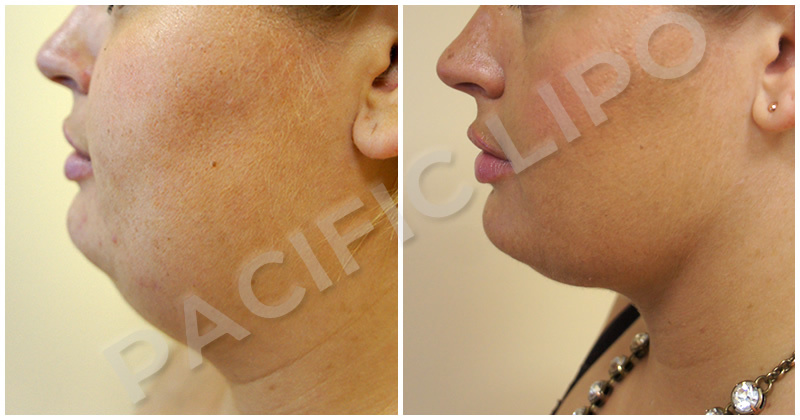 At Pacific Liposcuplture, our advanced liposculpture technology can significantly transform flabby neck rolls, bulging jowls or double chins. If you want to look younger, thinner, or have a more defined jaw line, the chin procedure at Pacific Liposculpture is right for you. This procedure usually takes less than 60 minutes and is performed under local anesthesia so you will remain awake and comfortable during procedure, many of our patients even drive themselves home. Most patients are also able to return to work in just a few days – and your coworkers will marvel at your improved appearance without knowing you had any work done. 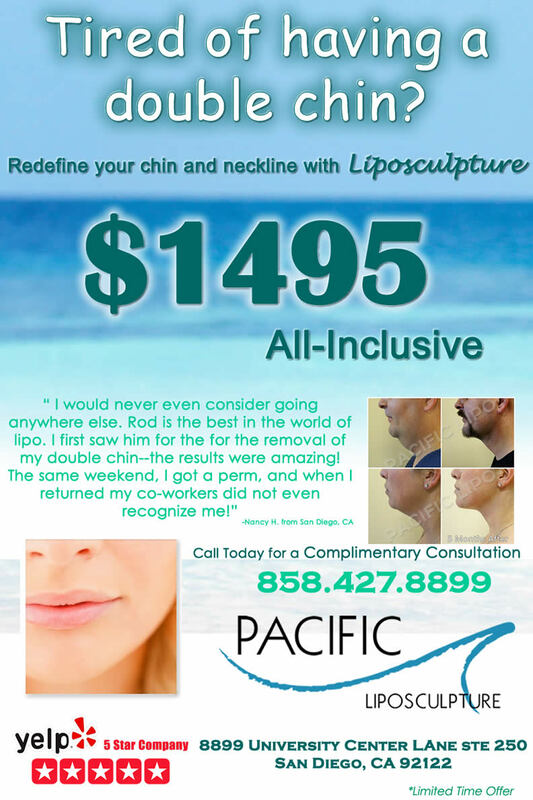 Our Liposculpture Specialist is a Professional Physician Assistant, Rod Davis PA. I would never even consider going anywhere else. Rod Davis is the best in the world of lipo. I first saw him for removal of my double chin–the results were amazing! The same weekend, I got a perm, and when I returned to work, some of my co-workers did not even recognize me! Call a Patient Coordinator today at (858) 427-8899 and learn more about our current promotions and if chin liposculpture is right for you!